Promo code good on April 15th only! 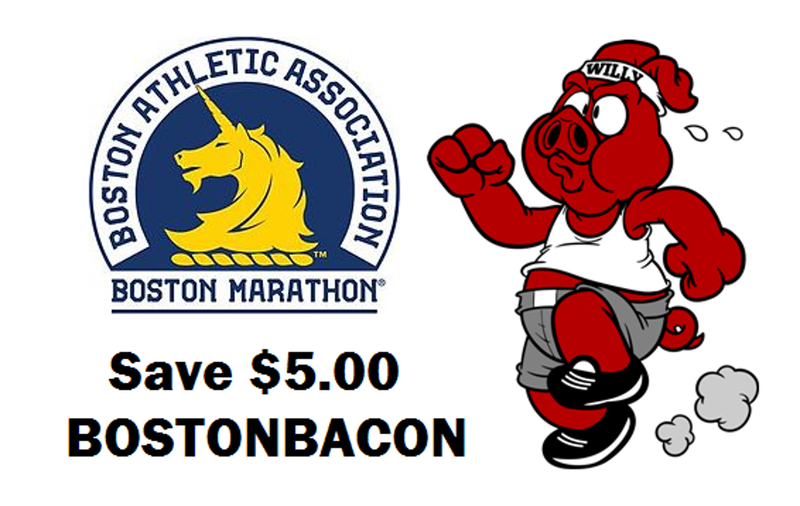 To celebrate this year's Boston Marathon runners are invited to save $5.00 when you register for the 2019 Bacon Run with promo code BOSTONBACON. This promo code is good on Monday, April 15th only!